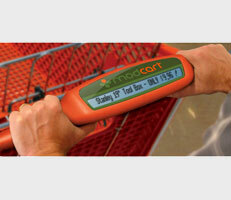 Client’s Goal: A client needed a messaging device to be incorporated into the handle of shopping carts at retail clients. Challenge: The device will accept marketing messages transmitted to it from a location within the retail store, and the message will be displayed on an LCD panel incorporated into the device. The client had incorporated paging technology into its beta test units, and was also investigating FM signaling technology as an alternative to the paging technology. The product needed to be a low cost, low power, durable and highly reliable. Solution: As an alternative to the paging and FM signaling technologies, Venture proposed the use of its’ RF transceiver technology that will allow for very reliable two-way communication between a base command module and the individual shopping carts. For this specific application, the proposed RF technology was superior to both paging and FM signaling technologies. The System design that was recommended consisted of a HQ authoring station, a local in-store receiver and receiver unit on each cart. The Industrial design yielded an aerodynamic device integrated into the shopping cart handle. The unit design is sufficiently durable to survive the adverse conditions expected during the three year life of the shopping cart, yet low-cost.